God Brought Me Here For A Reason: Buy Two, Take One For Free! Got an eye problem? Do not procrastinate, do something to ease up that pain. 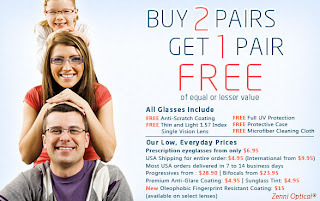 Do not worry about your possible expenses because Zenni Optical has something good to offer to you for a limited time only. 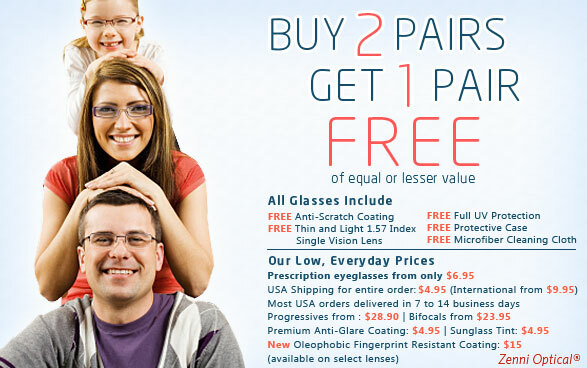 What's hot at Zenni Optical now is that you buy two pairs and get one pair for free of equal or lesser value! That would be a great value for your money.